From the classroom to the living room and beyond, the Galaxy Tab S3 boosts your fun and productivity wherever life takes you. The revolutionary S Pen has true-to-life pressure and angle sensitivity with the intelligence to translate, magnify, navigate and create with a full pallete of brush and pen types. And just like a real pen, it never needs to be charged. Capture details on the 13MP rear camera and use the 5MP front camera for video chats. Store all your photos with built in 32GB of storage that expands up to an extra 256GB. Share files wirelessly, get notifications, and even take calls from your tablet. Transfer data between your Tab S3 and a wide variety of memory cards. 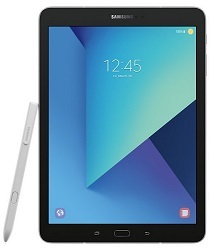 Mil-spec tested, real-world proven protection for your Galaxy Tab S3.